This tour originates from Helsinki. Use the form below to inquire about Finland and Aurora Borealis-The Northern Lights . Use the form below to reserve for Finland and Aurora Borealis-The Northern Lights . Finland and Aurora Borealis-The Northern Lights let you explore Finland which is blessed with natural beauty in the form of verdant forests and pristine islands. 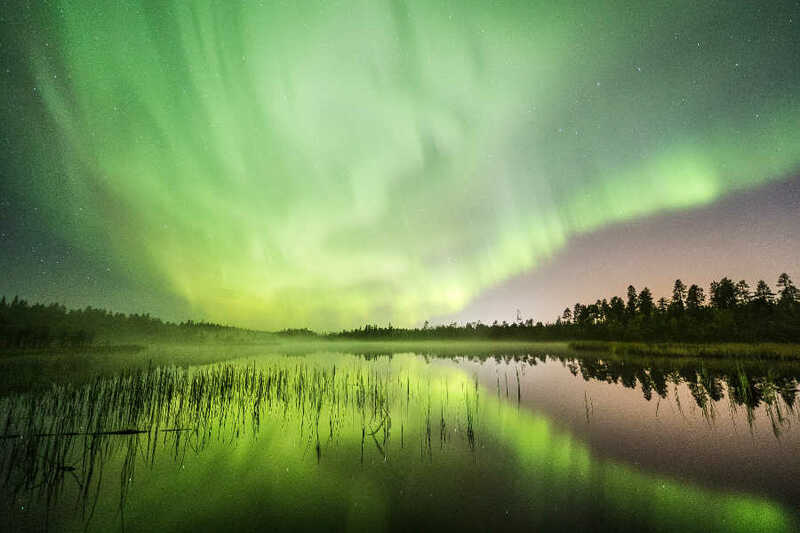 With the most spectacular light display in the world, lovely cathedrals and Santa being a resident, Finland and the Aurora Borealis-Northern Lights is a much sought after tourist destination. The colors most often associated with the aurora borealis are pink, green, yellow, blue, violet, and occasionally orange and white. Deciding what you want to do will help you pick the best time to visit Finland. Aurora and snow activities occur in winter, from December through to April. Equally, summer days from June to August are glorious for hiking and kayaking. Arrival at Helsinki airport. Our representative (driver) shall pick you up from the airport and transfer to hotel. Evening at leisure to explore the city. Overnight stay at the hotel in Helsinki. Helsinki, Finland’s southern capital, sits on a peninsula in the Gulf of Finland. Its central avenue, Mannerheimintie, is flanked by institutions including the National Museum. After early breakfast proceed for the city sightseeing tour using the Helsinki card provided. The Helsinki Card (48 hrs) provided can be used for sightseeing, entry to attractions and usage of public transport. Overnight at hotel in Helsinki. After breakfast at the hotel, checkout and transfer to the airport to catch the flight for Rovaniemi . Upon arrival at Rovaniemi, you shall be transferred to the hotel for check-in. In the evening proceed for the below activity. Fatbikes are like mountain bikes with huge, wide tires. They are light and very easy to ride on any ground, even on ice and snow! Fatbiking is a great way to explore the surrounding, stunning scenery of the Arctic wilderness. We stop for a break by the fire to grill sausages and warm up with a hot drink. Duration for this activity is 2.5 hours. 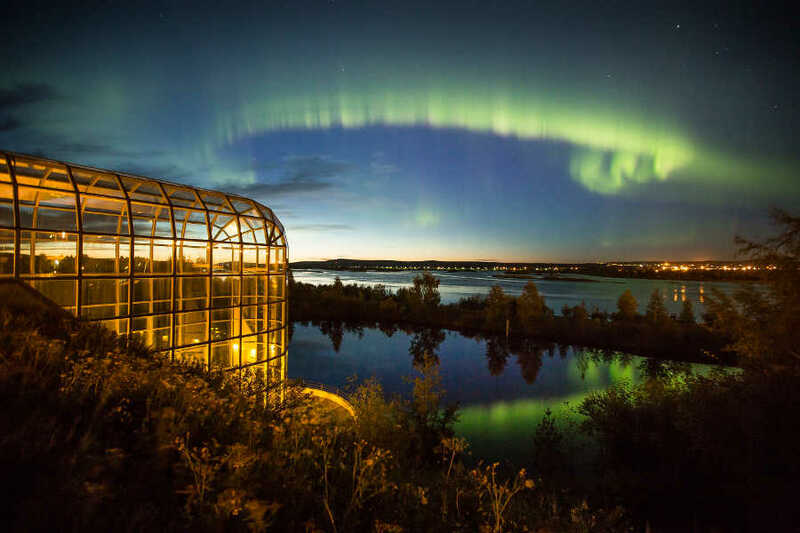 Later in the evening, you shall be picked up for the Aurora Dinner at the Sky Ounasvaara Panorama Restaurant. This restaurant is frequently awarded as the best restaurant in Lapland, famous for its modern Lappish cuisine. Situated on top of the Ounasvaara hill, the scenery the restaurant offers from the open-air roof terrace is a feast for the eyes. After enjoying the delicious 3- course Aurora menu, you can move up to the roof terrace accompanied by your very own wooden kuksa cup filled with warm Finnish berry juice. If lucky, the Aurora Borealis may appear in the sky completing your dining experience! Overnight stay at Arctic Snow Hotel - Glass Igloo in Rovaniemi. The zoo is situated 80 kilometers south from Rovaniemi and it takes about an hour to get there by car or by bus. Take a stroll through the zoo, and see animals and birds that live in natural conditions of the northern latitudes. Visit the souvenir shops, the shop of 'Fazer' candy factory, and the local wine shop where they sell unique wines made from wild berries like cloudberries, cowberries, bilberries etc. Includes transfer, guide, entrance fee to the zoo, buffet lunch. 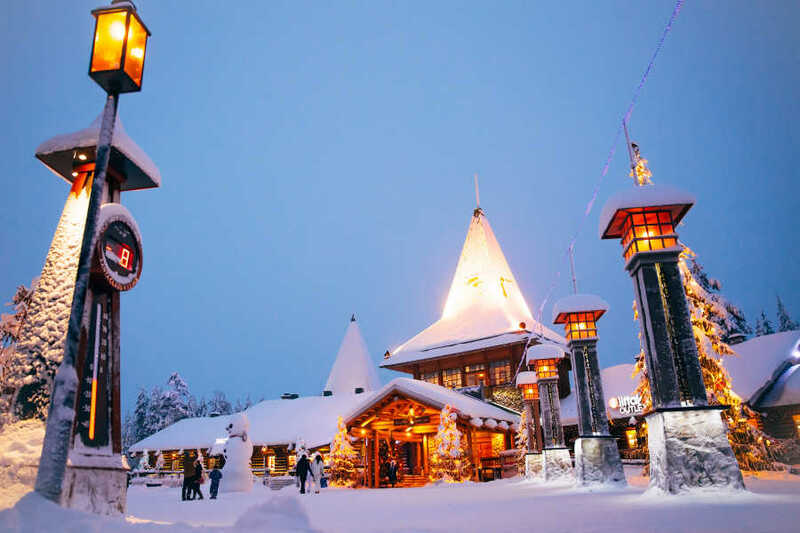 Return back and check-in to the Santa Claus Village Resort and set out to discover this world-renowned resort. 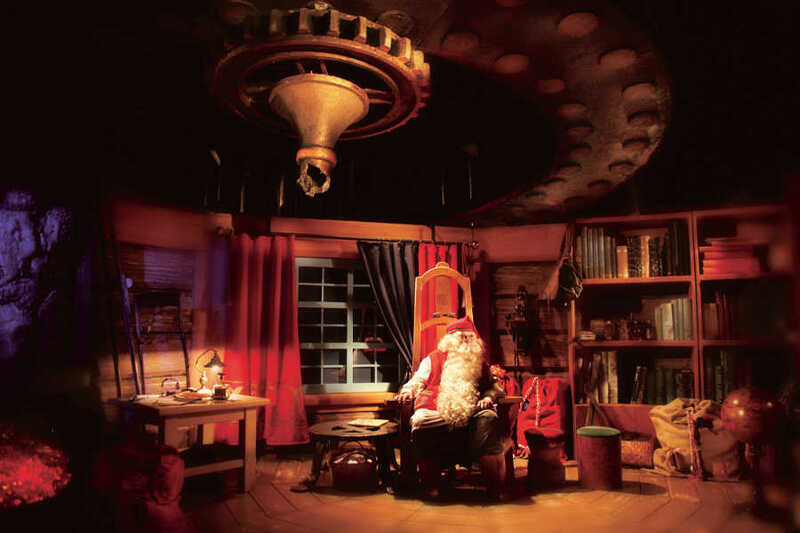 Traverse the Arctic Circle and meet Santa any time of year at the Santa Claus Village. Experience the magic of the holiday season at this theme park. Stay in the village or take a day trip into this festive wonderland. 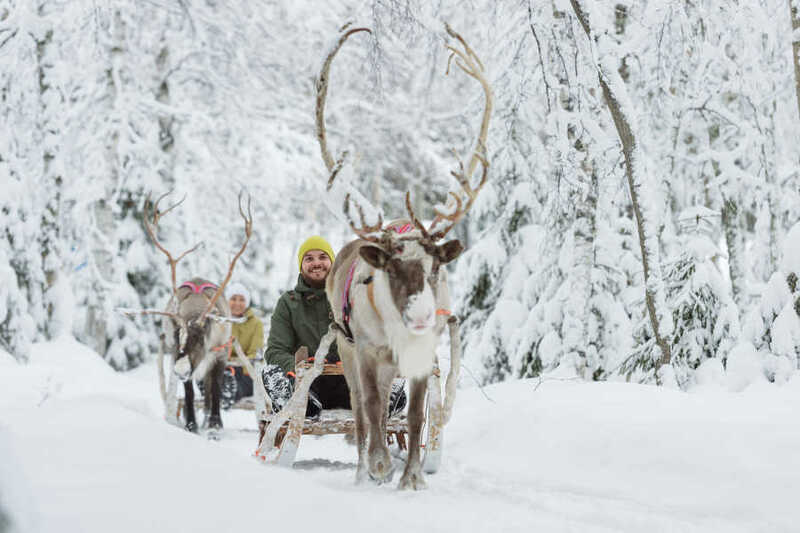 Take photos with Santa Claus in his office or strike a pose at the Arctic Circle line, which runs through the village and provides for a popular photo-op. Spread the holiday cheer by sending a card from Santa Claus' post office or purchase gifts for friends and loved ones at one of the village's Christmas-themed shops. 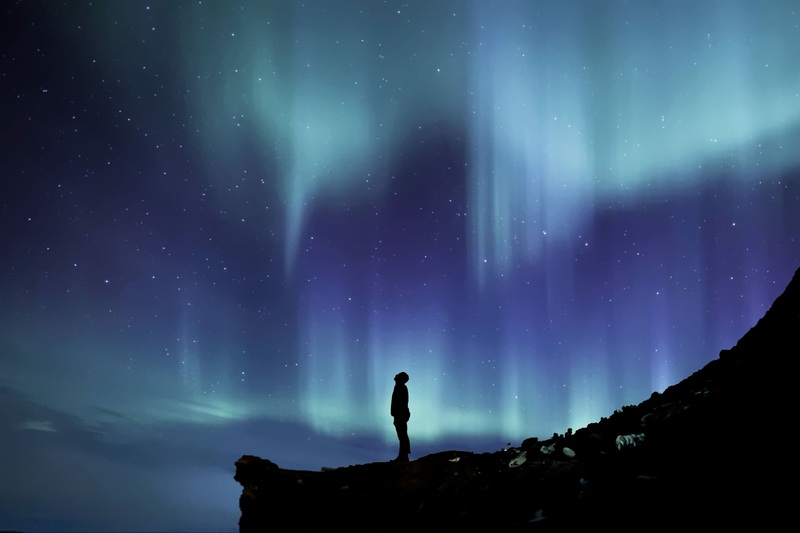 Aurora borealis or the Northern Lights are one of nature's great displays, a free, multicolored light show that is most commonly seen in the Arctic regions. Every performance is different, a beautiful, shifting dance of nocturnal rainbows that many viewers find a humbling and spiritually uplifting experience. During this tour, you shall be transferred to a location far away from the city lights, with a magnificent view of the starry sky. Watch the dark skies from a camp with a traditional Finnish Laavu-building and campfire and learn a lot about this natural phenomenon, and also how to take pictures of it! 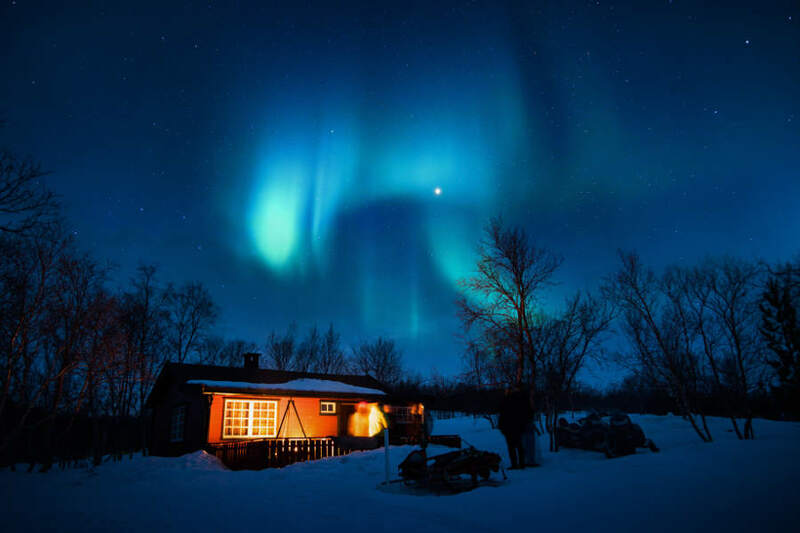 Here, in Lapland, you can watch the Northern Lights 200 nights a year on average. The best time to observe the northern lights is from September to April. 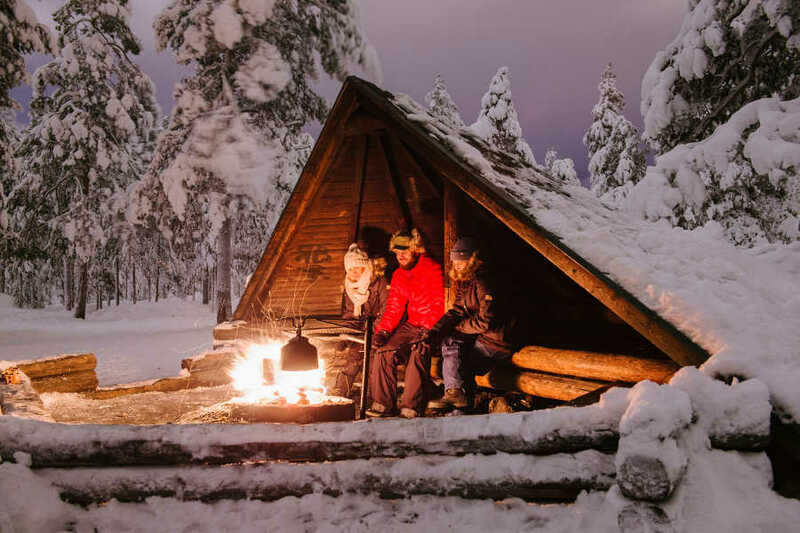 Sitting by the fire, grill and eat Lappish sausages as the guide tells you about the facts, myth, and beliefs associated with the northern lights. And, if lucky, you will see the northern lights, shimmering in the dark blue sky. This Korouoma canyon trip is an amazing experience both during summer and winter. Korouoma’s 100m high rocky walls and the serpentine river will leave you speechless. In summer you can experience the canyon’s unique flora and the tranquility of the forest. In winter, ice walls surround the valley and create the most extraordinary feeling. Option 2: Kätkävaara Nature Path (Duration of the tour is 6 hours). 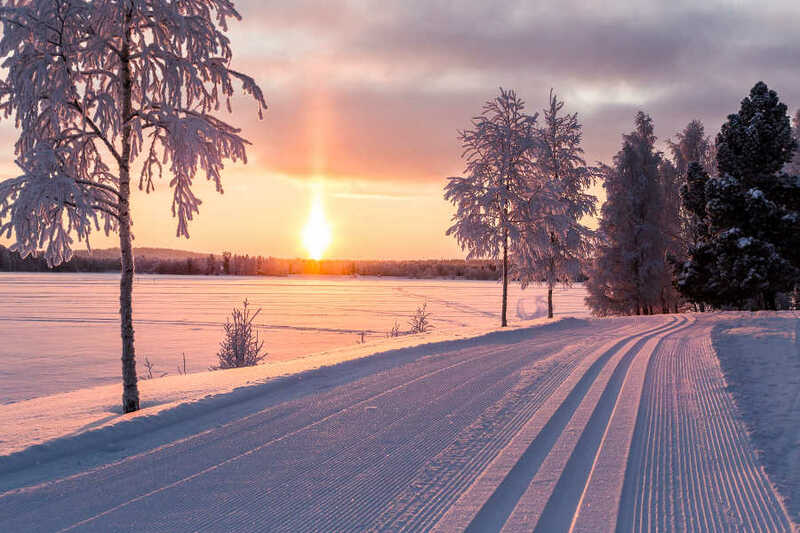 Kätkävaara is located between Rovaniemi and Kemi, close to the Pisavaara Strict Nature Reserve which is the strictest protected large nature reservations in all of Europe. The nature in the Kätkävaara region has unbelievably beautiful and diverse bio-diversity with plenty of wild animals and birds living in the area. The trail goes from the little forest ponds up to the summit with breathtaking views. Snacks and warm beverages will be served during the trip in a tepee. These 4-legged helpers will receive you jumping and barking and take you to enjoy the forest. 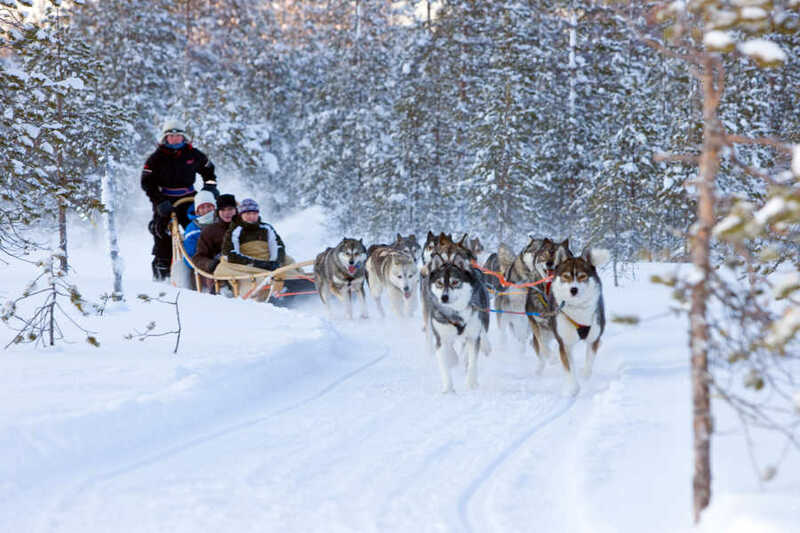 Imagine sitting on a sleigh covered with reindeer skins in the middle of the snowy forest where only the breathing of dogs pulling your sleigh can be heard. It is indeed a unique experience! After an early breakfast at the hotel, you shall indulge in activities or sightseeing at the Santa Claus Village till noon. Check-out by 12:00 and proceed to Rovaniemi Railway station. Santa Claus Village resort offers free drop. Proceed for sightseeing in Rovaniemi. A daily pass for the bus routes is available for 8.80€ for traveling by bus. Later in the evening board the overnight direct train to Helsinki from Rovaniemi railway station. Upon arrival at Helsinki railway station, proceed to drop your luggage at the cloakroom facility available. Guidebook, including maps and complete tourist information. Arrival breakfast, proceed for half-day sightseeing or as per the flight timing, you shall be transferred to the airport to board the flight home. International return airfare from India to Helsinki. Activities inside the Santa Claus Village, Rovaniemi.